If you’re seeing this it means my return has hit a new snag. My computer refuses to turn on. So I don’t even know if I’m going to be able to put stuff out for awhile unless I can access my dad’s computer like I’m doing now. I’m not sure when I can resume but I’ll be back as soon as I can, even if it’s only a partial comeback. Of course both computers (including the laptop) are down now. Posted by ShadowWing Tronix on September 9, 2018 in BW Progress Report. Hey, I like that montage of you with Scooter, Bumblebee, K-9, and Godzilla’s eye! Is that a new piece of artwork that you created, Tronix? Now that should be part of your new logo for the site! Sorry to hear about the technical difficulties. At this point, let’s just assume that there will be no new material on here for September. Don’t worry about it. Get done what you have to get done. Over the next 2 weekends, I will be reading the DC Masters of the Universe comic book series from 2012. Over those 2 weekends, I will also post my comments on your previous reviews about those six comic issues. That’s what I did this weekend with the first Thundercats series from Wildstorm. That way, there’s still activity on your site. Oh….I did see on Twitter how you added captioning to your Gobots video on Youtube. I watched it and enjoyed it. It’s been awhile since I’ve watched that particular video. 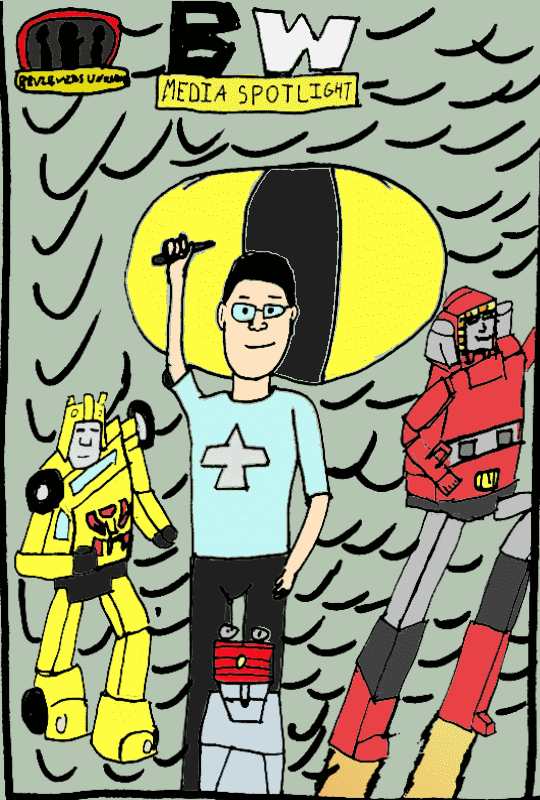 I was reminded of your spectacular sense of humor depicted in the Gobots review video. You also have close to 26,000 views on it. Awesome stuff! I hope that you are able to resolve your technical issues. It’s good that your father’s computer is still working. I hope that you’re able to get your desktop and laptop working again, and that the cost to repair them won’t be too expensive. That’s the first I’ve heard of Blip. Yes, that is a nice poster you drew, Tronix. Your artwork was good because I could immediately identify you and those four other characters. Is that Godzilla’s eye?